1939 is the Greatest Year in Film History. However, looking at 1940, it wasn't that bad either. We have a whole slew of classic films that have stood the test of time. The variety among the nominees is breathtaking: melodramas, Gothic romance, sparkling comedies. Oddly, the only major genre missing from the Best Picture list is musical. However, the real world is starting to enter the Best Picture race in the form of three of the ten nominees. There is film about the Great Depression and two films about the growing menace coming from Germany. One of them was a suspense thriller, the other a comedy. 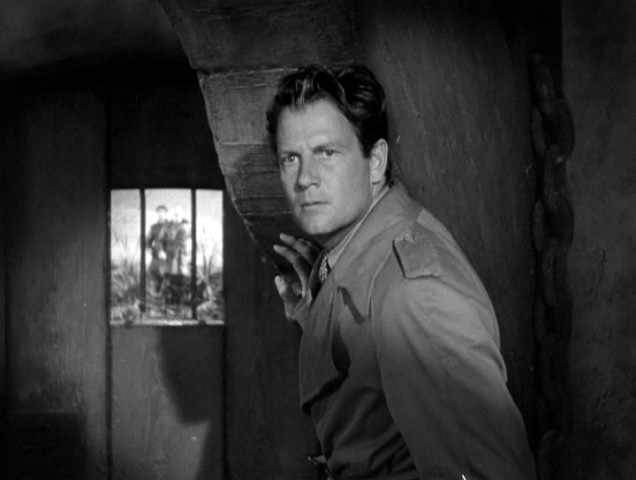 Facing the oncoming horror of World War II was done by stealth, but as even Hollywood was coming to terms with the impending global conflict, it didn't skimp on production quality. The 13th Academy Awards have some interesting tidbits. The Best Supporting and Lead ACTRESSES were first-time nominees, while the Supporting and Lead ACTORS were previously nominated. 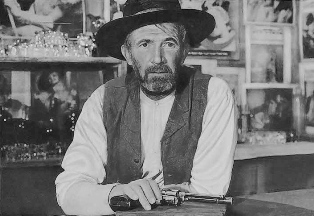 Of all four acting winners, there was only one repeat winner, the somewhat ubiquitous Walter Brennan, in his third and final win. In what can be seen as a curious pattern, Brennan had won Best Supporting Actor every even year since the category's creation (1936, 1938, 1940). He would have one final nomination in 1941, and perhaps to the shock of everyone, didn't win. With Rebecca's win for Best Picture, it was the first time a producer won back-to-back Oscars, and Alfred Hitchcock's introduction to American filmgoers. You have two great supporting performances this year, so the real battle is between two old ladies. In many ways, the fight between Anderson's Mrs. Danvers, housekeeper/banshee in Rebecca and Darwell's Ma Joad in The Grapes of Wrath can be seen as opposite sides of the coin regarding portrayals of women. The former is a cold, vicious woman (and while obviously never stated out loud, a lesbian to boot), the latter is a warm, loving woman (and overtly stated, a devoted wife and mother). I think you have two different ideas of womanhood between them: the caring, loving, mothering side (who lives only for her children) and the cold, obsessed, deranged and sexually dangerous side (who lives only for her dead 'mistress', however one wishes to read that). Darwell gives a strong and passionate performance full of pathos and agony over the miseries visited upon her. The fact that she's a good woman, real salt-of-the-earth, makes Ma Joad's tragedies all the more difficult. Still, she's an optimist. "We're the people that live," she says in the tacked-on happy-ish ending, and personally I like the ending and think it stays true to the characters. No need to have everyone unhappy. 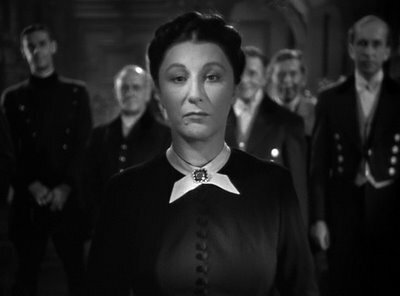 However, for myself it is Anderson's cold, imperious, and ultimately loony Mrs. Danvers who still holds the most power and impact today. She knows she has great power, especially over the second Mrs. DeWinter, and will use her position to drive the poor girl mad. However, like a spider caught in her own web, it is Mrs. Danvers who has gone mad, and her final end is still both shocking and oddly beautiful (which explains why Rebecca won Best Black-and-White Cinematography). Oh no, there's no real justification for this choice. 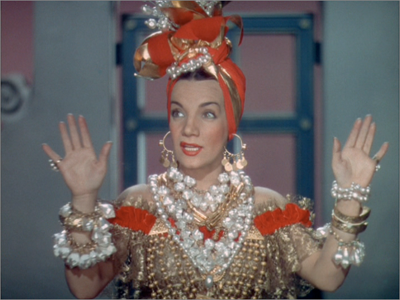 I'd just thought it be fun having Carmen Miranda win an Oscar. You gotta have SOME surprises now, don't you? However, in her defense, who do YOU recognize: Carmen Miranda or Marjorie Rambeau? Well, Brennan's 3 for 3 in Oscar wins, but I doubt if any of his Oscar-winning turns strikes a note with modern audiences. I think affection carried him to the winner's circle because there are at least two strong supporting performances which gave Brennan a good run for his money and which I would argue are far better remembered than his in The Westerner. This isn't to say he didn't deserve this or any of his Oscars (no final decision can be made until they are seen and compared to all the others). However, I don't think I would have voted for him. I would make it a fight between Bassermann's principled/abducted diplomat and Oakie's spoofing of Il Duce. As they duke it out, I think Oakie's unapologetic take-down of Mussolini in his stupidity mixed with egotism (the hallmarks of any dictator) do what great supporting performances are meant to do: draw attention to themselves without overwhelming the film. Oakie manages to not only hold his own against Charlie Chaplin, but manage to make himself stand out against him. 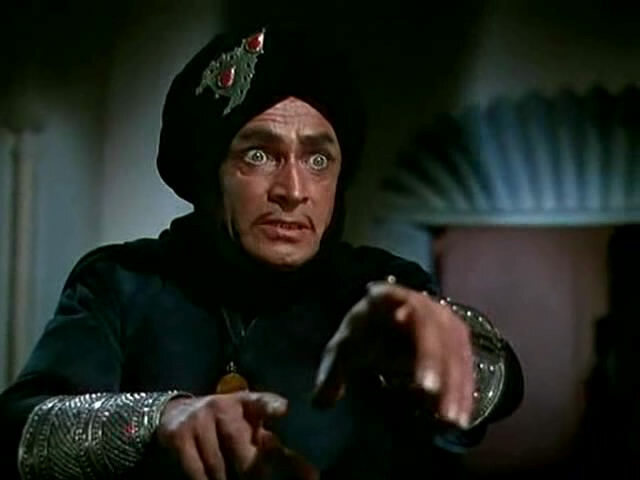 As a child, I was terrified by Veidt's evil Grand Vizier in the remake of The Thief of Bagdad (still one of my favorite movies and certainly among my favorite early movie memories). Veidt, a master actor from Germany who fled to Hollywood to escape the Nazis (his wife was Jewish if memory serves correct, and he also despised Nazism without that thrown in), his English-language career consisted of playing heavies (ironically, his most famous and final role was that of a Nazi commander in Casablanca). However, in The Thief of Bagdad he reveled in being evil, and his influence still holds today apart from his turn in the film. His character's name? Jaffar...just like the evil Vizier in Disney's Aladdin. Let's see Walter Brennan top that! As a side note, Veidt's performance in the silent film The Man Who Laughs (as someone who has a permanent grin on his face as a result of evil surgery) was influential in the creation of another iconic character. Think of who else smiles with such malevolence... I'm not 'joking' around. 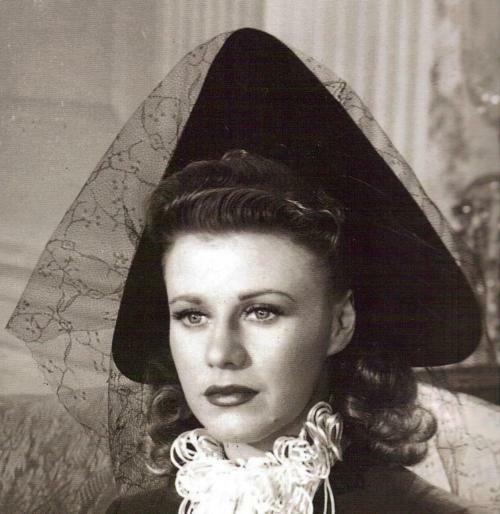 The Academy loves it when an actor/actress takes a 'dramatic' turn, and we proved it here with Ginger Rogers' win for Kitty Foyle. After making all those great comedies and musicals with Fred Astaire, Rogers wanted to prove (and prove to herself) that was a good actress, not just someone who could do every Fred Astaire did only backwards and in high heels. She picked a fine role as the working-class girl who loves a rich boy but who finds their differences (and his WASP family) too much to bear for her and their child. It's a bit like Stella Dallas almost, at least to my mind. It also helped that Rogers was extremely popular with audiences, unlike the patrician Hepburn, for whom The Philadelphia Story was a bit of a comeback after being dubbed 'box office poison'. 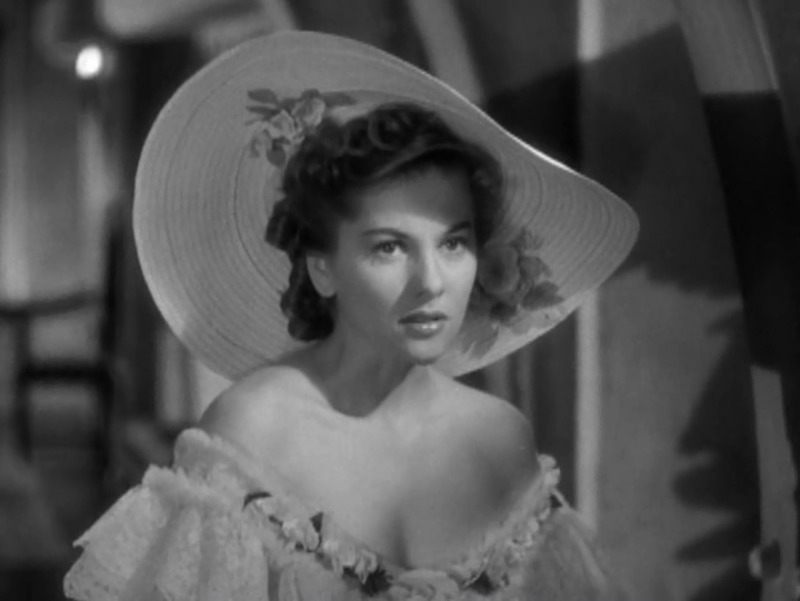 For me though, it is Fontaine's performance as the frightened "I" (her character's real name is never revealed, as she refers to herself as "I" and everyone else calls her primarily "Mrs. De Winter" or "The Second Mrs. De Winter", anything other than a distinct name) that to me was the best performance that year. Going from a timid, frightened woman into one who, driven to point of suicidal madness, manages to rally to the man she loves and ultimately triumph we see Fontaine give a memorable and iconic performance. As she descends the stairs to her husband, the tension is quite palpable, and Fontaine makes the Second Mrs. De Winter both victim and winner in the course of the film. When I think of great screwball dames, Rosalind Russell comes to the forefront. Actually, when I think of great actresses who could do it all (drama, comedy), Russell comes to the forefront. His Girl Friday is a remake of a previous Best Picture nominee (The Front Page) but with one small change: the genders were altered so that Hildy Johnson was turned into not just a woman, but the ex-wife, lending more comedic opportunities. Again, comedy is slowly slipping into the background at the Oscars, and while comedic performances can be recognized on occasion, the Academy appears content to look at drama as being worthy. Sadly, Rosalind Russell would never win a competitive Oscar, but did receive the Jean Hersholt Humanitarian Award. I don't begrudge her that, but why no actual Lifetime Achievement? Ah, the Retroactive Oscar Strikes Again! I have never shaken my belief that the Academy, embarrassed somewhat by picking Robert Donat's turn as the meek schoolteacher in Goodbye, Mr. Chips over the fireworks James Stewart provided with his performance in Mr. Smith Goes to Washington, decided they'd better make up for it by giving Stewart the Oscar for The Philadelphia Story, his next nomination. It also helps that Stewart played against type as the cynical reporter who woos and temporarily wins the fair heart of patrician goddess Tracy Lord. At this point he was the 'aw-shucks' type, the pleasant young man, slightly bumbling, who managed to come out in the end. Here, he was as unpleasant as Stewart could get. Sadly, this would be Stewart's only win, and worse, some of his best performances never merited a nomination. His climatic "I'll Be There" monologue near the end of The Grapes of Wrath is enough to have merited Fonda the Oscar from his longtime friend Stewart (despite their wildly divergent political views: the stalwart conservative Stewart versus the hard-core liberalism of Fonda). His entire performance of the former criminal who sees the darkness and decides it's best to work behind the scenes (however he can) is such a powerful performance that it holds the film together. The "I'll Be There" speech is delivered so well, with a plainness and conviction that it breaks your heart. Amazingly, this would be Fonda's only nomination until the "Quick! Give It To Him Before He Drops Dead!" win for On Golden Pond. I'm not saying he didn't deserve to win for On Golden Pond, but given the breath of his performances throughout his career, how Fonda merited only ONE nomination but someone like Jonah Hill can merit two (so far) is just nutty. There simply has to be something psychologically wrong with the Academy when everyone in The Philadelphia Story received a nomination except for Cary Grant. Personally, I would have made Stewart a Supporting Actor nominee because I think his role is a supporting character, but at the time a major start like Stewart couldn't be 'supporting'. McCrae was simply so overlooked as an actor, and I suspect he isn't as well-remembered as he should be. He too plays a cynical reporter, but one who finds himself caught up in international intrigue rather than the whims of a WASP princess. He has action, romance, and a murky scheme to uncover. Just as Henry Fonda's final speech was brilliant, McCrae's warning to a sleeping America about the incoming menace as London is bombed around him in Foreign Correspondent is equally brilliant. From Pinocchio, When You Wish Upon a Star, lyrics by Ned Washington, music by Leigh Harline. When You Wish Upon a Star, to me, strikes a similar tone to the previous year's winner Over the Rainbow in that it also speaks about how to keep one's hopes and dreams alive. When You Wish Upon a Star is the first Disney film to win Best Song, a category it would dominate with 11 future wins (counting Pixar films), the latest being Let It Go from Frozen. You have fine directing this year, and as much as I love Hitchcock and think he did a masterwork with Rebecca in terms of performances and visuals, and as much as Cukor did with handling all those actors in The Philadelphia Story, the stark realities of The Grapes of Wrath still grips me and stands as testament to Ford's greatness as one of the Great Directors of All Time. Again, I see no reason to change the Academy's choice. Of course, if I could alter things a bit, my heart goes to Howard Hawks, a man who could rival John Ford in terms of both filmmakers in general and Westerns in particular. 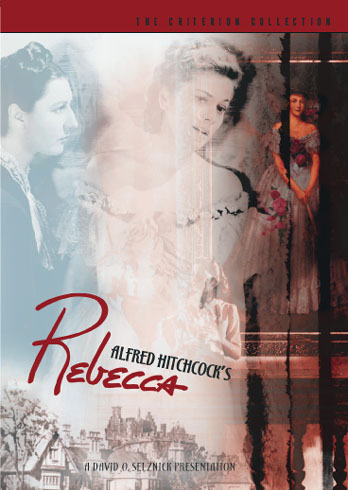 Rebecca is the first and only Hitchcock film to win Best Picture, and technically the first 'suspense' or 'thriller' to win Best Picture. It might be the fierce campaigning by Rebecca's producer, David O. Selznick, who wanted to somehow start escaping the shadow of Gone With the Wind. While he never fully escaped it, he did his best. There are really so many great films this year, and while they aren't exactly rivals to 1939's status as The Greatest Year in Film History, 1940 is still a pretty strong year when it comes to Great Films. You have the winner, you have great comedy (The Philadelphia Story), a great action film (Foreign Correspondent), romances (All This, And Heaven Too), spot-on satire (The Great Dictator), and heavy drama (The Grapes of Wrath). Really, how to choose? Again, there are simply great films to which to choose from. Out of the nominees, many will stand the test of time. From the ones listed, the one that I would single out is the spoof of Hitler and fascism, one that takes down Hitler before we fully knew the extent of his barbarism. Chaplin has said that if he had known just how horrible Hitler and his thugs were going to be, he would never have made The Great Dictator. Minus the speech (which is impassioned but somehow to me never fully fit in to what had come before) The Great Dictator manages to be both completely funny and incredibly compassionate. We do have great Gothic films, great comedies, and a massive step forward in animation. However, after wavering between it and The Great Dictator, I opted to go for one of those films that made me love film. The Thief of Bagdad is one of those films that allowed me to see the greatness of movies. I got lost in the fantasy aspects of it when I was young, and thought in movies all things really were possible. The Thief of Bagdad is a beautiful-looking film and while at times it may slag a little, I never fail to react not just to the film itself, but to the memories The Thief of Bagdad brings to me. 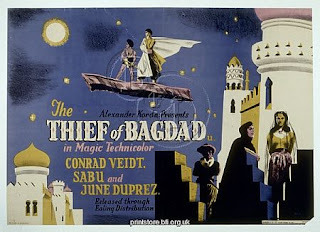 I learned to love films thanks to many movies, and among them is The Thief of Bagdad. 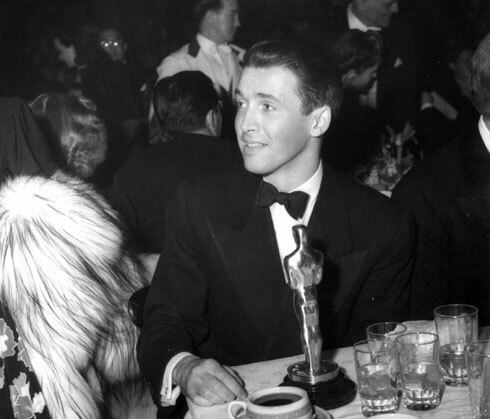 Next Week, The 1941 Oscars.